I'm drawn back into TOZ for a Rose and Alisha moment O_o those two remind me of them somehow maybe Ancestors?? 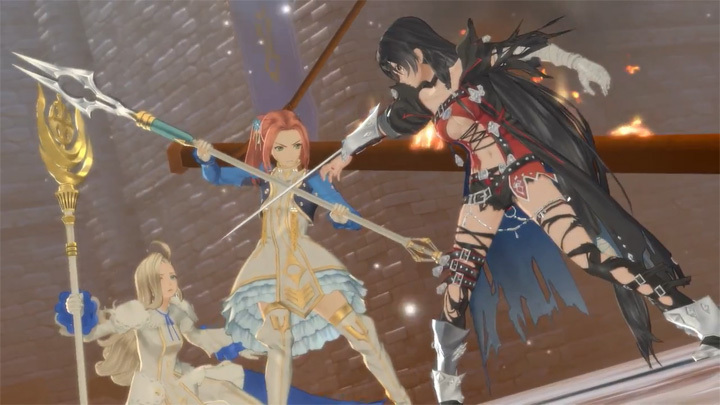 Or Rose and Alisha was reborn in TOZ *cough* that's a way of theory lol *cough* don't mind me I know that's something people don't want to here. So the whole TOZ and TOB connection is there I'm excited for this I want this game on my PS4 yes I'm getting this game I hope the English voices are good.